And yet, when I came across this forgotten selfie on my phone I immediately fell in love with it. 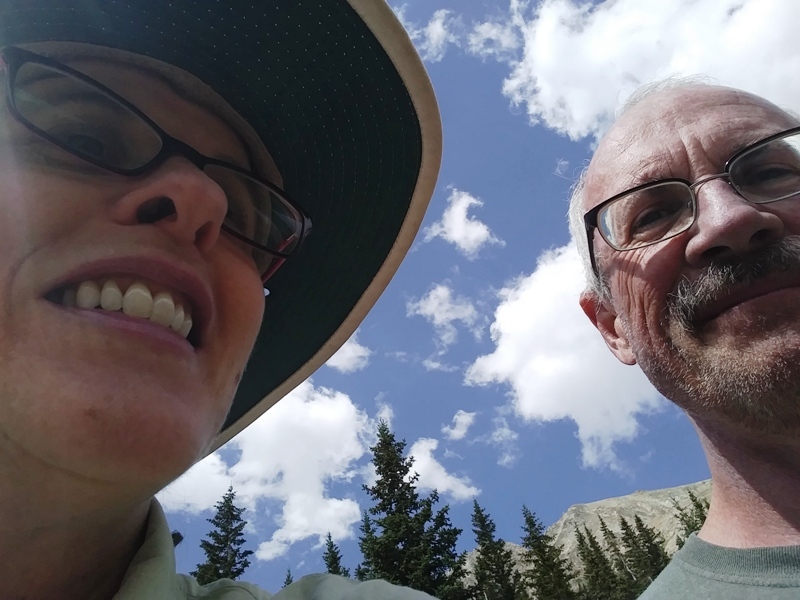 Because the photo took me back to where it was taken: on our Rustler’s Gulch hike in Crested Butte last July. Zippy and I’d climbed the trail at the end of the valley to sit on a huge outcropping to eat our lunch. Everywhere we looked was absolutely glorious. Up, down, side to side. Blue sky, fluffy clouds, wildflowers, stream, trees, mountains. Nature at her very best. But this selfie isn’t just a reminder of the natural splendor we witnessed on that hike. Our expressions are also documentation of how very happy Zippy and I were that day. The poorly framed image and those nostrils only add to the good memories. That it was. And on days that are hard, it’s good to remember days like that exist. Little bits of joy, right?